Last night I treated myself to a train ride home. Not a great start to a ballad but then this is my first ballad. OK, let�s start at the very beginning�I had cycled to work yesterday morning as is my norm. The snow was still substantial but the main roads were relatively clear. I set off at 05:45 from Forest Hill and nicely arrived at work in Marylebone just before 07:00. Not much slipping and sliding on the bicycle, which was nice. I put in a good 12 hours or so as bonus time is fast approaching. Then, as I set off home, I thought I�d treat myself to a train ride home for my bicycle and me from London Victoria. The 20:22 to London Bridge via Forest Hill was 8 glorious carriages long with relatively few people. I put myself, my bicycle and a steaming cup of Nero�s hot chocolate onto coach 2 of 8 in the cycle/pram/disabled bit of the train. We slid out of London Victoria right on time. A few people got on and off for the next stops and we happily glided into Crystal Palace just a few minutes late. Then we curved around Crystal Palace Park and approached Sydenham. And stopped about 500 yards from Sydenham station just before 9pm. We then moved closer and closer to Sydenham but slower and slower. We then stopped about 10 minutes later just a 100 yards or so from the north bound Sydenham platform. Then we didn�t move an inch until just before 23:00. Things had gone very wrong due to two Overground trains not being able to move because they had traction issues. This we were regularly told by the diligent Southern driver who was being radioed by the �Fat Controller�. My words, not his. I must congratulate most of my extraordinarily, patient fellow passengers for their extraordinary patience. Especially the lovely lady with her wonderful little dog who was so well behaved. (Madam, if you are reading this, then please give your little dog a rub from me.) But, of course, not all were as patient. There�s always one, isn�t there? I�m referring to the �idiot� (the driver�s words, not mine) who released the emergency doors and jumped down onto the trackside to reach the frustratingly close platform of Sydenham station. Wow Mate, you took a rather daft risk. During my over 2 hours of quiet time I had the opportunity to reflect on how people who are stuck on trains for considerably longer handle it. Some recent examples in the last few weeks I think people had been stuck overnight. What about toilet facilities? Ours didn�t have any toilets but I do know other trains do but how often do they work? We all know the amount of times we�ve been on a late night train back to SE23 land after having a tipple and finding some or most of the toilets �Out of Order�. The need for a toilet on our toilet-less train was becoming an issue for some of my fellow passengers towards the end. Their sense of relief was obvious as we made the final lurch towards Sydenham. It sounds a dreadful experience, and it is reassuring that you managed to find some consolation from the support of fellow passengers. It is being put about that things in Europe are pretty bad too, so I looked up the Deutsche Bahn and SNCF websites. SCNF has limited TGV speeds to 230km/h (which I think is faster than our trains ever run), and in one area to 170 km/h. There are delays in Germany, but the eat-your-heart-out gem is that, because of extra demand following airport closures, DB are laying on extra 'intercity' trains every two hours between Hannover and Berlin. Does anyone know if the ferries are running normally? Sounds horrid. Yes, an idiot but their frustration is understandable with the end so close. I got stuck 50 yards outside Victoria once for 2 hours and it was agonisingly close and we did wonder why we couldn't just walk it! So far as 'toilet' facilities, my sister got stuck in the snow on the motorway for 20 hours the other week and had to find a container in the car to use - until a kind person who lived near the road stopped by with soup and offer to use their loo. Oyster-wise, call the Helpdesk, explain the circumstances and they should be able to refund the money back to your card. �and it is reassuring that you managed to find some consolation from the support of fellow passengers. Indeed. Another hour or so and I�m sure that we�d have started a few blitz spirit sing-songs to keep up the morale. There was a tangible, growing camaraderie. I was also keeping minor track of the social developments and interactions among us strangers caught together. I mused quietly about who were the leaders that were starting to emerge as some of us started forming consensus on a strategy to approach the train driver with suggestions of a next step. I�m no social scientist but it is truly interesting to me, as it is to many people, to observe how we interact, form social structures, organise and communicate. A lot of this was starting to gather pace in the last 15 minutes before we finally made it safely to Sydenham station. Thanks Applespider for the handy suggestion. I called the Helpdesk after posting the initial ballad of my train trip. I poured out my version of events with the clinical facts so they could verify it. I also constructed my voice to register emotional suffering to appeal to the heart of the Oyster Helpdesk lady. I found just the right tone of whimpering because she refunded the full �8.60 and didn�t charge me for the train ride. Rejoice! The lady at the Oyster Helpdesk even said �Merry Christmas�. I sat there for a few moments after putting down the phone with a dopey smile and a softness, even a moistness in my usually cold, calculating eyes. "I was also keeping minor track of the social developments and interactions among us strangers caught together. I mused quietly about who were the leaders that were starting to emerge as some of us started forming consensus on a strategy to approach the train driver with suggestions of a next step. I�m no social scientist but it is truly interesting to me, as it is to many people, to observe how we interact, form social structures, organise and communicate. A lot of this was starting to gather pace in the last 15 minutes before we finally made it safely to Sydenham station." What you say is interesting. My day job is academic and professional publishing, and one of our journals is Groupwork, which covers mostly social groupwork. We recently ran a series of short pieces headed 'flash group' - meaning groups which arose spontaneously from the resources of people involved in a chance encounter. I think what you describe is a perfect example of the flash group, so it's interesting to hear about it. Thank you! Interesting story. Not only about how groups behave, but about our acceptance of authority. You say that the "leaders" were "starting to emerge", but I wonder whether, with the station so close and with the danger of getting out and walking so small (no live rail to tread on, on that extreme left-hand track) that the real leader had long since left the train. I suspect that years ago (at the time of the Blitz spirit) he would not have been alone. �that the real leader had long since left the train. Yes, it is highly likely. I proposed that Jolly Chap might reconsider as the driver may have to reset the doors manually after the emergency release had been activated and potentially cause further delay to us all. Jolly Chap considered this momentarily and without a great deal of response left our coach heading towards coach 3 and away from Sydenham station. That was the end of our very short interaction and within minutes we were informed, by the driver�s announcement, of an �idiot� who had just left the train. Oh, well. At this point another person, coming from coaches 3 to 8, moved through our coach announcing that they were going to speak to the driver. Much like Jolly Chap he had things on his mind but he wasn�t as jolly. I�ll call him �Less Than Jolly Chap�. He then came back through our coach after having a �chit-chat� with the driver and said that the driver had stopped communication with them through the door. Judging by the subsequent tone of the driver�s announcements I felt that some people, including Less Than Jolly Chap were attempting to negotiate solutions with the driver while our small adhoc group was still formulating proposals. It was pretty much then that the train lurched forward. I then happily exclaimed that we were now all moving together in the right direction and then stole off into the night to ride/ski with my bicycle back to The Hill. hillsideresident, this is all good food to chew on. Our small flash group considered the risk of leaving the train and discussed the location of live rails. I observed that there were some non-English speaking tourists on the train so any evacuation including live rail information might have to be communicated to them. A very minor skill that I have from a former career in Asia is some intercultural communication training. And to back up my training I�ve played charades, too! Or at the very least someone responsible should walk with them the short distant. That�s local knowledge to know that the extreme left hand side is safe. Your assessment of the risk being so small is also what I and others had concluded. Some appeared to be happy to sit and relax. Unexpected time away from the kids before Christmas, maybe? For myself, I was intensely enjoying the later stage developments on the train to consider getting off at that point. But it was just a matter of time before the next one jumped. I now wonder at what time of the morning that myself and my bicycle would have joined them? And then there was the lady with her little dog. The lady was of a vintage that was finer and greater than mine so assistance would be highly likely. 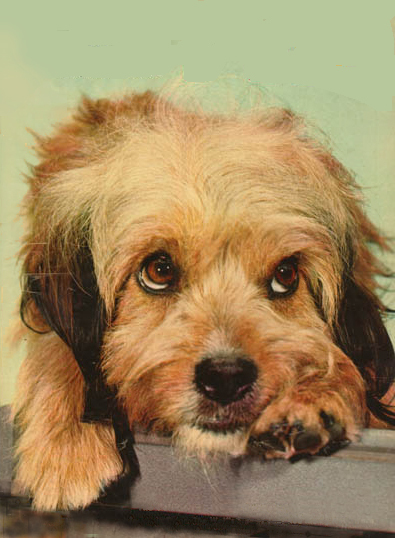 And the little dog looked like Benji from the movies when I was growing up in the 1970�s. I certainly wasn�t going to be going anywhere without them. Cellar Door, are you a writer by any chance? Your prose is rather lovely. Well, it doesn't sound like Jolly Chap was trying to persuade people to act as a group, but was just acting as an individual, so he probably doesn't count as a leader. Although if he left for the reasons you imply, he still has my sympathy! I'm thinking of a news story from years ago when a whole lot of people opened the doors of their slam-door train and walked along the tracks, braving the live rail, and there was a row in the papers. Some people wrote letters praising their determination to get to work, which I tend to agree with. Recently there was a case where a train broke down and some people walked to the nearest station. The transport police were called to arrest them, which I think was outrageous, although they'd long gone by then. Especially since the train company's efforts to solve the situation had been feeble. You can't even see the driver for a human conversation because he won't open his door, they don't know how long it's going to go on for, you're sealed in (unlike the old slam-door trains), they don't even have the imagination to return to Penge West to let people off, you can't have a pee and if you force your way out you're liable to end up in court. It all seems very 1984-ish and for that reason I tend to side with the ones who don't put up with it. Fully with you on everyone sticking together, and keeping everyone informed etc. I'd have loved it if after half an hour or less everyone had just helped each other off the train, plus dogs, and walked up to the platform. Basically, I think the train companies are pretty complacent when there are problems, and it's time we stuck up for ourselves a bit more. Your first post had me thinking a lot about authority. When I read your initial post yesterday and now your latest today I sense a kindred spirit in having a cocked, quizzical eyebrow looking keenly at authority. I think accepting authority is a part of heathly maturation. And I also think that focusing our attention on the nature and questioning the use of that authority is also a cornerstone of the same healthy maturity. I too understand Jolly Chap�s motives if he needed the toilet. I�d go even further and say that he was being courteous by not doing it on the train. The train driver in carrying out his duties is probably encouraged to keep us all on the train when outside of stations. I can imagine him slumping over the wheel when he saw the red light come on to say that the emergency door system had been activated. He probably went, �Good grief, here we go��. Isn�t it amazing that such a simple little event like this that we can extrapolate so much about the human condition and society? We could probably create a week long conference for Social Scientists, Philosophers, Psychologists et al just based on the 20.22 London Victoria to Forest Hill train. P.S. I loved slam-door trains. Bring them back after the Routemaster has been successfully reintroduced! Thank you for the compliment. I�m flattered and embarrassed in precisely equal measures. No, not a writer. I�m in IT. I don�t even read fiction as an adult. I think that the last fiction I read was when I was about 12 years of age back in the 1970�s. Just before I bought the electronic parts from Tandy and soldered together my first computer. Then fiction went to the sidelines. The last fiction book I think was Enid Blyton�s �The Adventurous Four� where the four children find a secret Nazi submarine base off the coast of Scotland. I remember it being a thumping tale where the horrid Nazi brutes get their just deserts. After that, why would I need to read anything more? To my young mind it was the pinnacle of writing. My heart was racing. Computers were a lot more inert and safe. Phew! Maybe what you are reading is my passion for phonaesthetics. Which is the inherent beauty of the sound of certain words and sentences. Balanced or rhythmic flow really appeals to me. Hence, why I chose Cellar Door as my name on here as the writer and linguist, J. R. R. Tolkein once said, ��that of all the phrases in the English language, of all the endless combinations of words in all of history, that Cellar Door is the most beautiful.� I found this name when I watched the movie Donnie Darko. And I love saying Cellar Door getting the full resonance rumbling around in my throat. I really love people who love words. Clive James, Stephen Fry etc. �Plinth� is one of Stephen Fry�s favourite words. 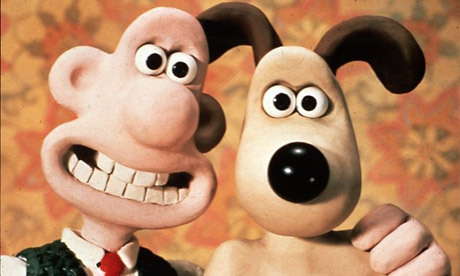 The way our mouth shapes at the end of the word makes everyone who says it look like Wallace (from Gromit fame). Every photo I�ve ever seen of Cherie Blair I think she�s saying �Plinth�. By the time he had got to Babcock I was doubled up with stitches. If you�ve never seen it before then I hope that I�ve inspired you take a few moments and see it on You Tube. I loved the photo of Cherie and Tony Blair in the last post. And I will forever have an image of photographers stating to Cherie - go on...."say plinth"! I prefer the sliding doors. The old slam-doors occasionally took out the unwary person on the platform! I think half an hour is long enough to wait before using an old legal remedy of "self-help"! and getting out and walking. The old slam-doors occasionally took out the unwary person on the platform! Is that why they have yellow lines on the platform? So, that people who stayed behind the yellow line wouldn�t be hit by the slam-door? If so, then the yellow line would be at least the width of the widest slam-door? I loved the photo of Cherie and Tony Blair in the last post. Doggone-it! I thought I�d linked the picture of Wallace and Gromit. But now I see that I�ve linked a recent picture of Cherie and Tony. Rather fetching though. If Dennis Pennis ever got to interview Cherie then I know he�d ask her to talk about the Fourth Plinth in Trafalgar Square. And then the camera would cut to him after she said Plinth and he�d have a cheeky smirk on his face. Of course I remember the Secret Policeman's Ball. That sketch was just amazing, on the face of it not funny at all but in reality absolutely hilarious. Genius times. I got my first programming job in 1978 and am still doing software stuff despite an enforced break, which fortunately allowed me to visit SE Asia and Australia. Perhaps you should write a humorous novel about all of the stupidity that IT has suffered over the years and of course use the word plinth as often as possible. Pedestal doesn't have the same ring to it, a little bit tinny I think whereas plinth is a very woody word.